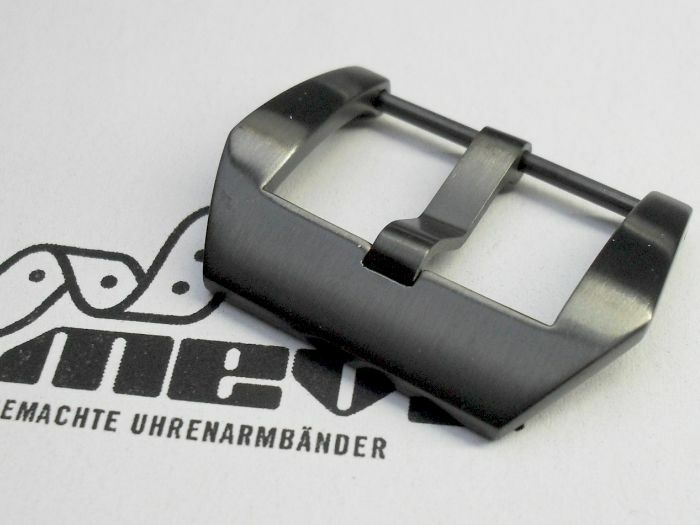 DLC coated OEM-buckle made of solid stainless steel L316. 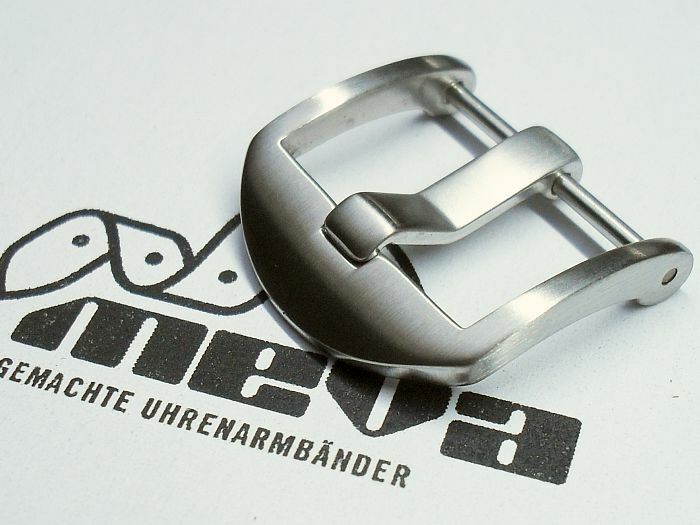 Due to its pronounced curving the buckle rests perfectly on the waistband without damaging it. 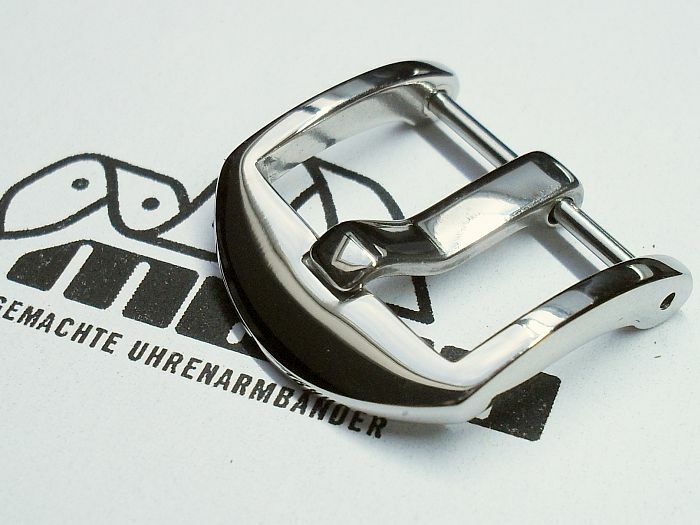 The aquiline spike allows an easier opening of the buckle. 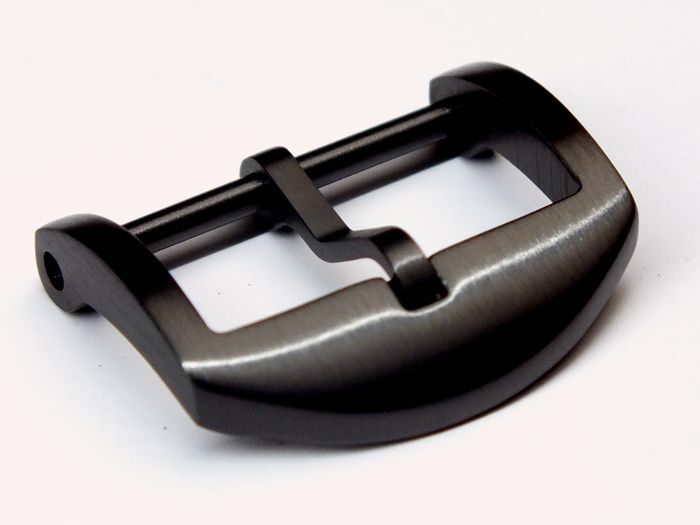 The dell for the spike avoids scratches on the buckle. 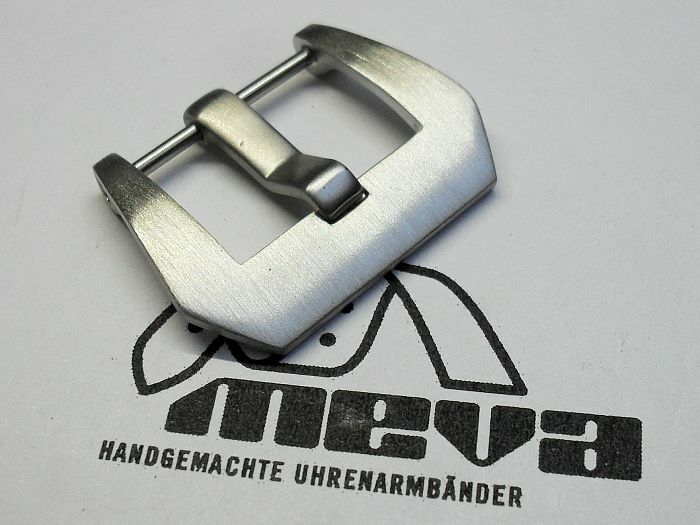 Compared to spring-bar model the screw on this buckle ensures a firm hold on the wristband. 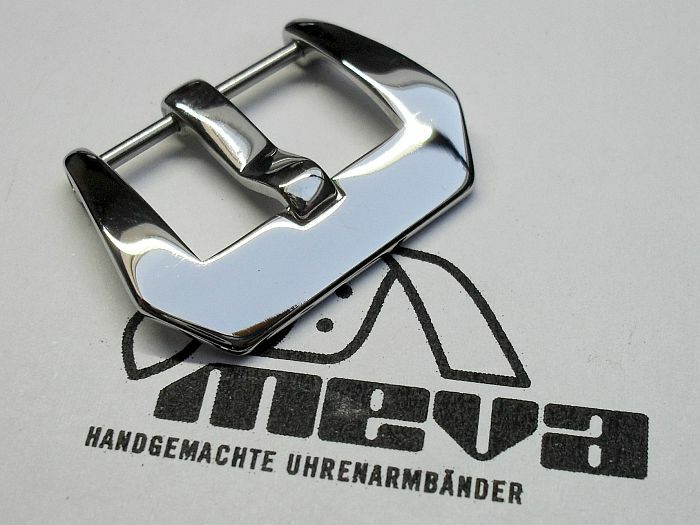 This buckle is made of top quality materials.